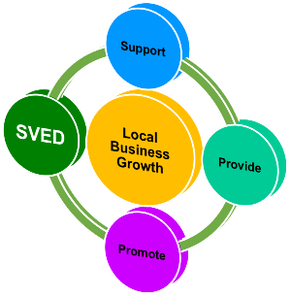 If you would like to start, expand or relocate a business within Mitchell County, Kansas, we have partnerships with financial institutions, organizations and foundations that can work with you to make the process of raising the necessary funds as stress-free as possible. Loan funds, administered by counties, municipalities and regional planning commissions, are available throughout the region and through the North Central Regional Planning Commission. Flexible low-interest terms may be negotiated, contingent upon job creation / retention and private-sector investment. Funds may be available to new and expanding industries, which create jobs, through the U.S. Small Business Administration (SBA), Community Development Block Grant – Economic Development Category (CDBG-ED), Economic Development Administration (EDA), USDA Rural Development – Business and Industry Programs, and other sources. Companies that qualify for the high performance incentive program (HPIP) are eligible to receive the above mentioned sales tax exemption on utilities without being tied to the job creation requirement. The cities and counties within the region may issue bonds at their discretion for up to 100 percent financing of land, buildings, equipment and construction and for qualifying Businesses, i.e., for-profit manufacturing and non-profit health care. Several municipalities within the Solomon Valley offer a very unique infrastructure and improvements program through which the municipality builds all roads for a new development and pays for all labor. The owner is only responsible the cost of building materials, which includes the concrete and other materials, such as a new diamond blade or other items deemed necessary for the road construction.